JS DECO - Bedrooms, Kitchens based in Eastmoor, West Yorkshire. 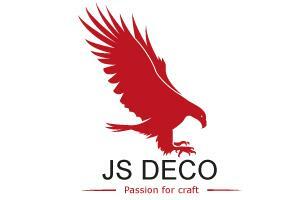 Hi, my name is Jacek Sobis and I am the owner of JS DECO. I have been in the furniture industry since 1995 where I started the study of Wood processing technology and furniture manufacturing. After 5 years of study, I finished school with the NVQ3 title, I also possess Gold CSCS Card which confirms the skills in the construction environment. During 23 years in the industry, I was focused on providing my customers high-quality furniture and installation service, and developed valuable business connections which let me offer the high-quality products. Presently I manage my own workshop and a team of skilled cabinet makers based in Whitwood Enterprise Park Unit B6. We are happy to manufacture supply and fit all kinds of made to measure furniture including Kitchen Furniture, Bedroom Furniture, Sliding Door Wardrobes, Bathroom Furniture etc. You can also contact us in case you need a fitting only service - we will be happy to help in that matter too.